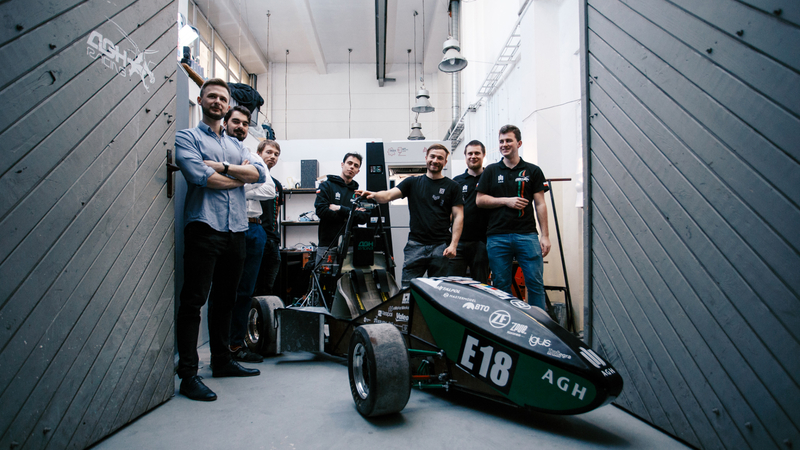 3DGence has just started the cooperation with AGH Racing, a student research group of the AGH University of Science and Technology in Krakow. In the 2019/2020 season, the team will have the opportunity to use 3D printing technology from 3DGence to create their Formula Student racing cars. This season, AGH Racing team is working on the development of their electric race car and the improvement of their combustion engine car, that is why we are more than pleased to be able to contribute to the development of students and support them, not only in terms of technology! New technological solutions seem to be a natural environment for the construction of racing cars. Therefore, as a 3DGence, we decided to place an industrial 3D printer in the studio of the AGH Racing team. The members were trained from 3DGence INDUSTRY F340 use and FDM technology. By using 3D printing technology, students will be able to create innovative solutions for their vehicles and, as a result, achieve better results in competitions. The possibility of printing from a wide range of materials, including ABS, PEEK or reinforced materials such as PA-CF will allow this research group to create mechanically durable details that can be used in their race cars. 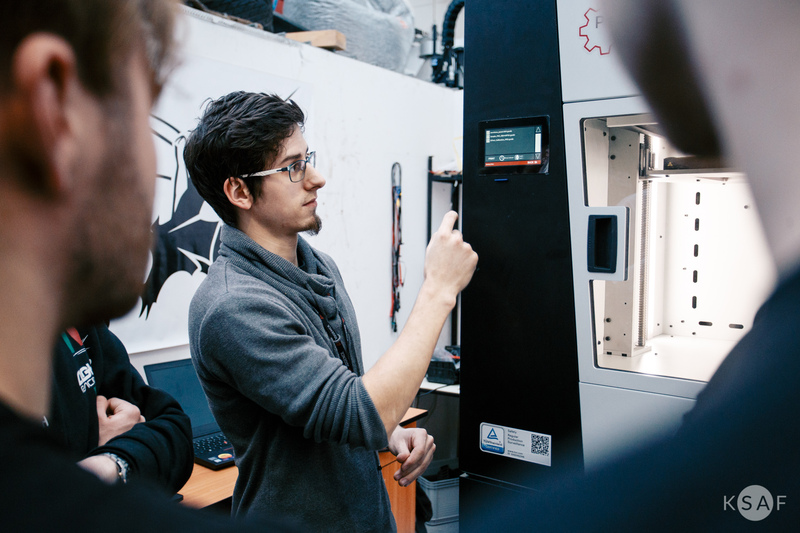 As a 3DGence we are pleased that with our 3D printing technology we can positively influence the development of young people while giving them a solution that will help them build high-performance cars. 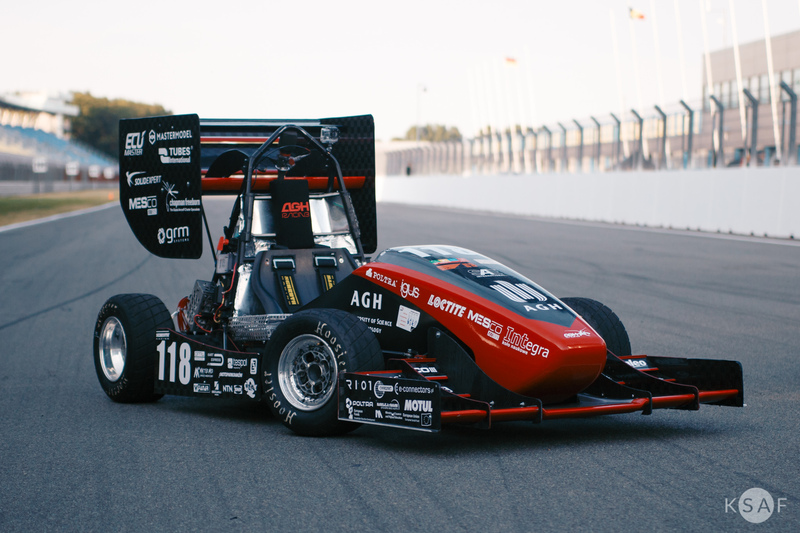 The AGH Racing from AGH University of Science and Technology is not only a space for ambitious students meetings, students who want to broaden their knowledge. It is, invariably since 2012, a team of enthusiastic young people who realize their passion for motorization by building racing cars and taking part in a series of Formula Student competitions. The FSAE competition is organized all over the world, and last year AGH Racing for the first time visited a different competition than the European ones. In 2018, the team entered the FS Michigan competition in the United States with an internal combustion engine and out of 118 teams, took the high 9th place, at the same time taking the leading positions in the various competitions. Combining theoretical science with practical experience is a dream of every student, and for the AGH Racing team – everyday life in the workshop. The ability to interact with 3D printing technology and use it in our daily work will help us in the process of prototyping and creating final parts for our cars. In 2013, the first internal combustion engine, fully built by AGH University of Science and Technology students, was built to allow taking part in the FSAE competition. Every year the AGH Racing team builds a new car, which is one of the requirements of the competition regulations. Grażyna is a combustion engine car, the fourth machine in the team’s output. The changes in the car have reduced its weight to just 198 kg, making it lighter, and the new design allows it to develop a speed of 100 km/h in less than 4 seconds, with a maximum of 130 km/h. Stanisław is the first Formula Student class electric race car in Poland and the fifth one created by AGH Racing. To mark the 100th anniversary of the AGH University of Science and Technology was named after its patron. The design of an eco-friendly car became a real challenge – the enormous amount of work turned into an impressive final result of the machine. The car has a peak power of up to 80 kW and a speed of 100 km/h in 4. 5 seconds, all thanks to the power supply of 1000 lithium-ion cells. The electric car Stanislaw was equipped by the team with a system of energy recovery during braking – the inspiration was, of course, the solution known from Formula 1. With this project, AGH Racing is contributing to the development of electric means of transport. Stanisław is a part of the current trends of ecological vehicles and increased awareness of environmental protection. 3DGence printouts in the USA? We look forward to the results of our cooperation while cheering for the AGH Racing team and keeping our fingers crossed for the success in the upcoming Formula SAE Michigan competition in the USA! 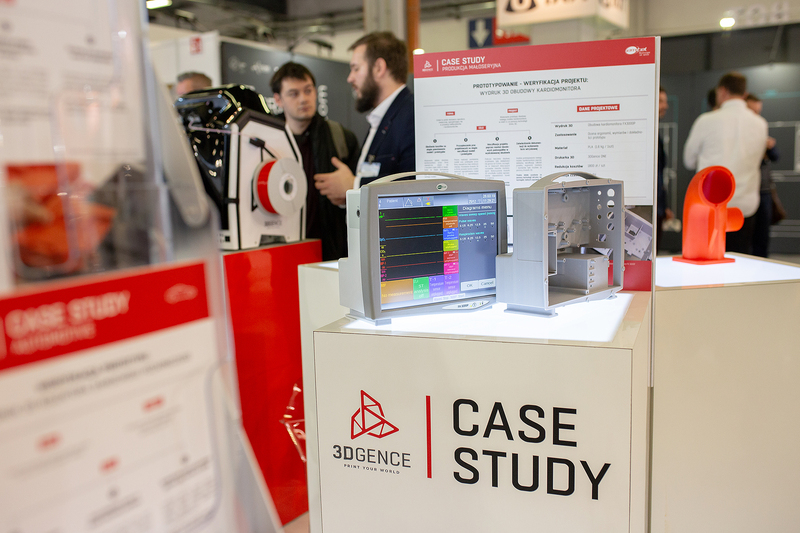 The first 3DGence INDUSTRY F340 printouts will be presented in Michigan, together with the AGH Racing, we can wait for the outcomes – only positive ones!